Qty Mfg: ....................... "Nearly 2,000,000 rifles. With Tula and its sub assemblies producing roughly 1.7 million of those." Note: Pics of rifle provided courtesy of MILSURPS.COM member Skippy. The rifle shown in the picture virtual tour is an all matching 1943 Tula Svt-40. All serial numbers are matching and stamped (save for the underside of the bolt which is electro penciled but matching), and features like the flash hider and forward sling loop are of late variation (1942 and on). This would suggest that it still of original composition and was not parted together or renumbered at arsenal. 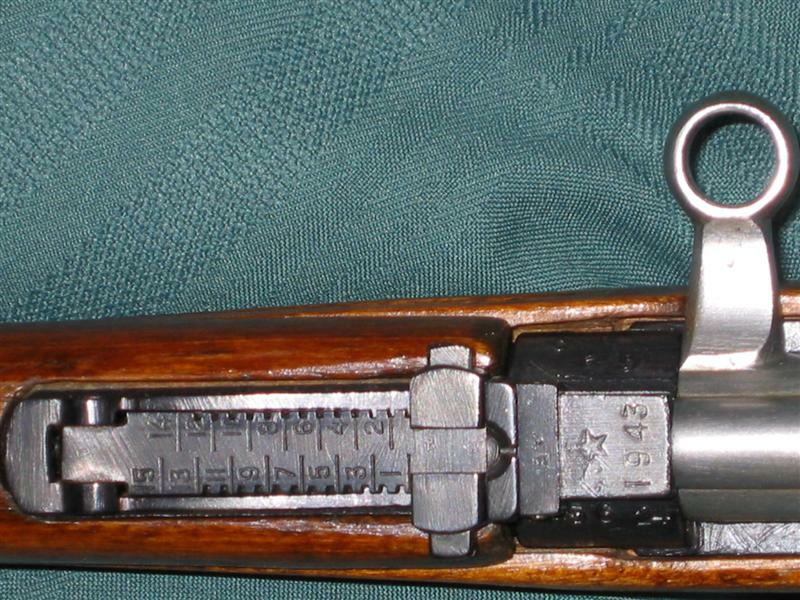 The top hand guard suffered a crack which was pinned and fixed with a wedge of wood at some point by the Soviets but still sports the original serial number stamp on the underside. At some point before I came into possession of this rifle the standard 10rnd magazine was actually sawed in half to limit it's capacity to 5 rnds (in compliance with Canadian law) this is the rifle's unfortunate flaw. Overall the rifle is a very sound and accurate shooting rifle in excellent condition (considering it does not seem arsenal refinished). About ten feet behind me in my gun safe is a 1942 tula SVT40. Mine is arsenal refinished and in excellent condition. One thing I have noticed, and I think is common is that the spent cases ejected have a soot pattern around the case necks indicative of a fluted chamber in the neck area. I'm not sure how common it is among SVT40s but I have seen the same pattern at my range on 7.62x54r cases from what I assume are other owners. Yes sir, a beautiful rifle. And it's my privilege and honor to own and shoot an arsenal refinished 1941 Podlosk. Back then it may have been a rifle just a bit ahead of it's time. Today its a Soviet classic. Thank you Mother Russia!